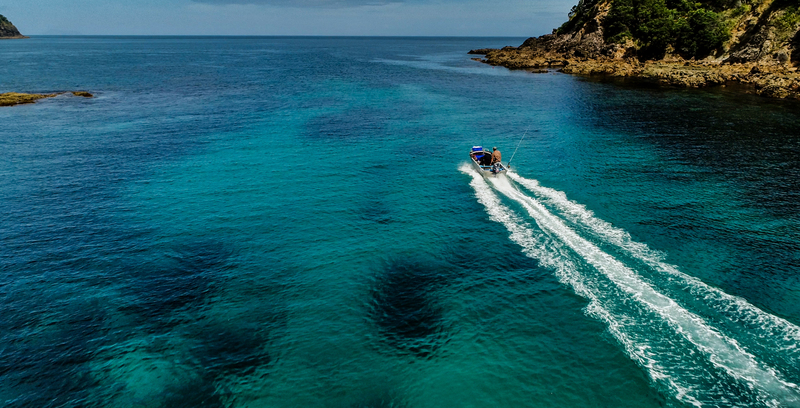 A pilot scheme involving an Auckland boating club and local marae is drawing widespread acclaim for its conservation gains and the coming together of people from different walks of life. The joint project is underpinned by principles of sharing and caring for our environment and each other, and could easily be replicated in other parts of the country. The Kai Ika Project involves LegaSea, the Outboard Boating Club of Auckland and Papatuanuku Kokiri Marae of Mangere, South Auckland. Until mid-2016 the OBC had used a disposal service to get rid of their unwanted fish heads, frames, and offal. Now, club members carefully sort and refrigerate these fish parts. The marae then coordinates the collection, quality control and distribution of this ‘Rangatira Kai’, chiefly food, to an appreciative local community in need of high quality nutrition. Since September last year over 7000 kilos of fish heads and frames, and offal, have been collected from the OBC and other fishing clubs, and shared with the marae. 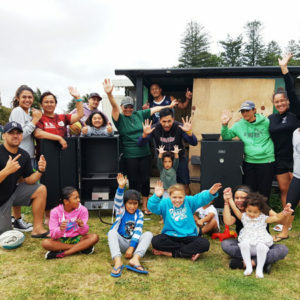 With the generous support of a LegaSea Partner, Kiwi Sizzler, the marae now has two smokers to cook chosen fish heads and frames before distribution. 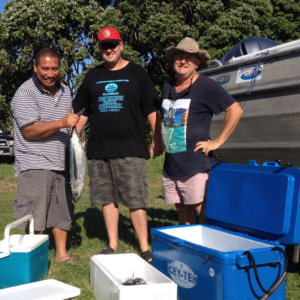 Another LegaSea Partner, Go Fuel, has donated freezers so that other fish parts can be stored before being shared amongst local community groups, youth clubs, churches and hospitals. The offal is a welcome addition to fertilise the marae-based community gardens. Prior to the Kai Ika initiative Lionel Hotene, Valerie Teraitua, their whanau and volunteer team had grown and shared more than 80,000 kumara to help wean south Aucklanders off fatty fast foods. There is growing concern at the levels of obesity in the community and our Maori and Pacific people are particularly vulnerable due to diet and economic constraints. This unwellness affects us all. Health budgets are chewed up treating preventable diseases leaving fewer resources available for proactive care. The Kai Ika initiative provides a glimmer of hope that with inspired leadership we can learn to better utilise the fish we harvest from the sea. 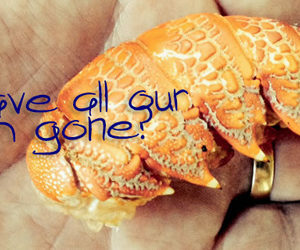 We can also conserve our marine resources by taking fewer fish while sharing what we don’t use with our community. If you have fish parts that others would enjoy please visit www.FreeFishHeads.co.nz or download the app to find someone in your area that will gladly accept the gift. This special partnership is enabled by the ongoing support of many volunteers, Kiwi Sizzler, Go Fuel, the Guardians of the Sea Charitable Trust, OBC and Papatuanuku Kokiri Marae. Kia kaha to all involved. 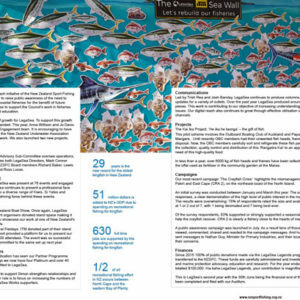 Fisheries Management Annual Report The LegaSea Annual Report has been issued and is included in the New Zealand Sport Fishing Council’s Fisheries Management Annual Report 2017. The report can be downloaded here. Subscribe a mate To be successful we need people engaged and learning about the state of our inshore fisheries. Ask your friends, family, any fishing folk, “May I please have your permission to subscribe to the LegaSea database?” Then click here to enter their details. 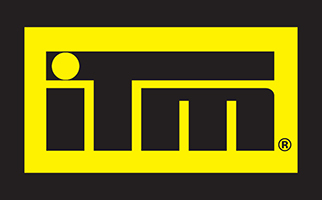 If you want us to do the data entry send us an email with the details. Easy as.